Who would've thought that Christmas would come around so quickly? 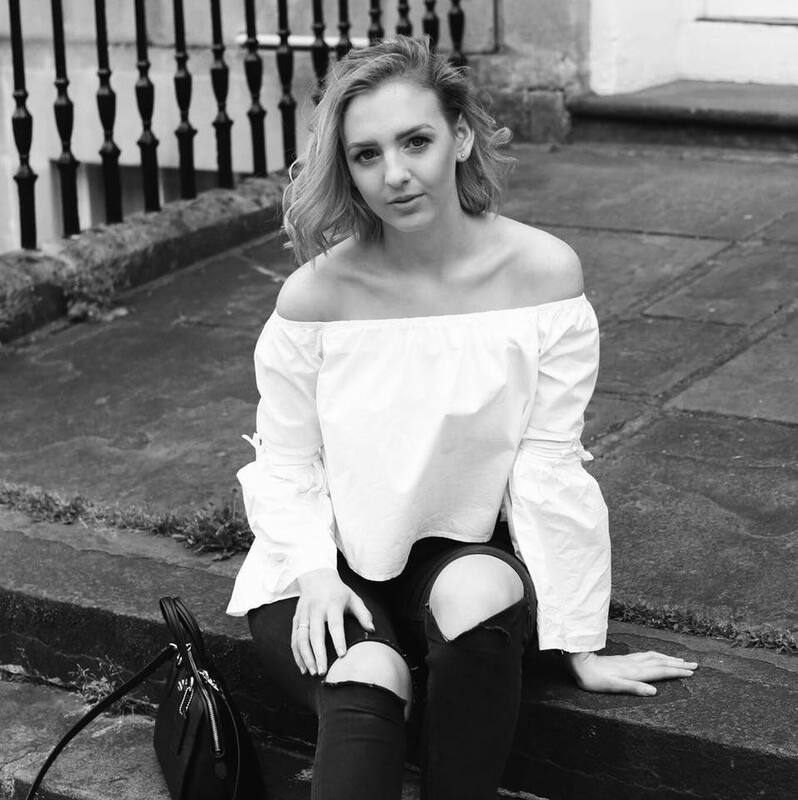 10 more sleeps till the big day and only 5 until I finish Sixth Form for my well deserved break. So that means there's only one more Christmas nail art after this one which quite frankly makes me sad. I'm not ashamed to say that each week I enjoy spreading Christmas cheer through a picture or pattern on my nails. 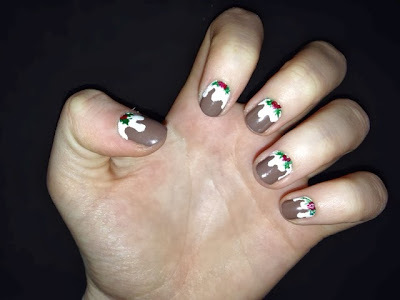 So continuing with the Christmas theme I thought I'd do a simple nail art inspired by one of the best things about Christmas: the food. Ahh turkey, pigs in blankets, roast potatoes in goose fat, just the thought of it all makes my mouth water. 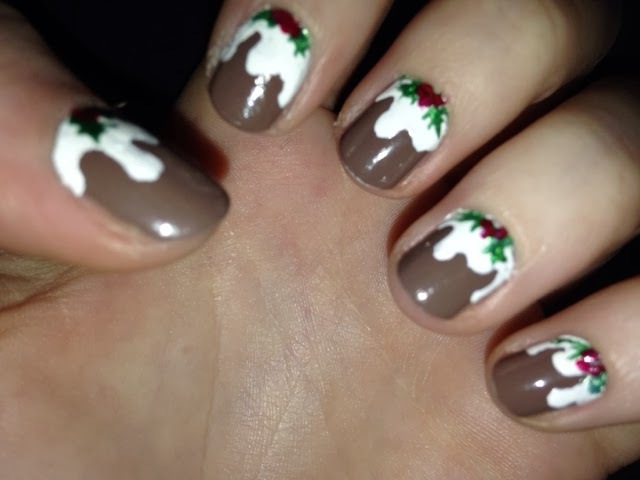 Surprisingly I don't like Christmas pudding (#sorrynotsorry) it's just never been my choice of pudding but frankly they look so darn cute on your nails it was hard to resist! Please tell me I'm being a pig when I say that Christmas diner is one of the best parts of Christmas Day?